Sick, poor; certain children are examples of courage for all of us. Boopy hasn't forgotten them and hopes to offer even more strength and determination. 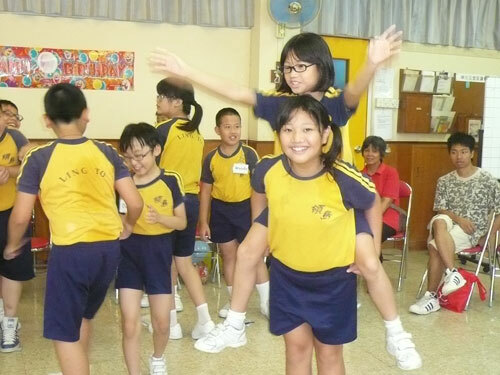 A “helping wing” for these remarkable children. 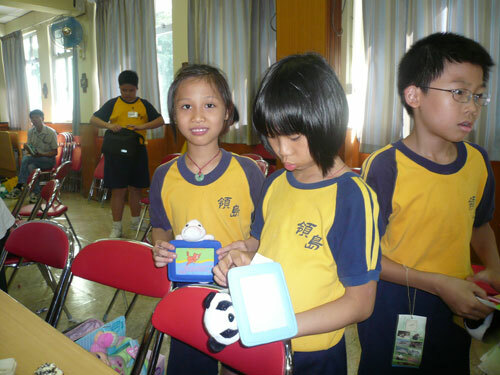 Eco-Sys Action and Boopy support several children's aid projects. Unfortunately, hope is what children sometimes lack the most. Now, with BOOPY POWER, they can move mountains; battle knowing that they are heroes for others. Their stories provide an important message of inspiration for young and old alike. 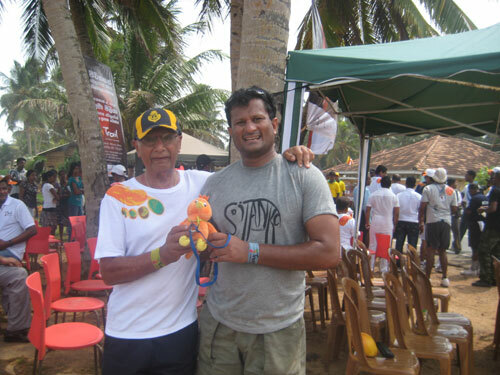 Not long ago Boopy met up with his friend Thusitha Ranasinghe in Sri Lanka for an extraordinary project. Thusitha is the director of Eco-Maximus (www.ecomaximus.com) an ingenious enterprise that transforms elephant dung into paper and makes a whole range of unique paper products with this unlikely primary resource. Thanks to the elephants, numerous people are now employed full-time. In Sri Lanka there are more and more people, and sadly, more and more conflicts with wild elephants as their habitat is destroyed by human activity. 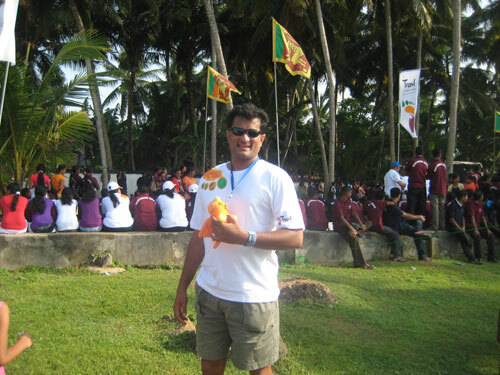 This time Boopy flew to Sri Lanka as a travelling companion and principal sponsor of an incredible adventure organized by Colours of Courage Trust: Trails (www.trailsl.com), a walk traversing Sri Lanka from South to North in order to raise funds to build a pediatric unit for children with cancer. 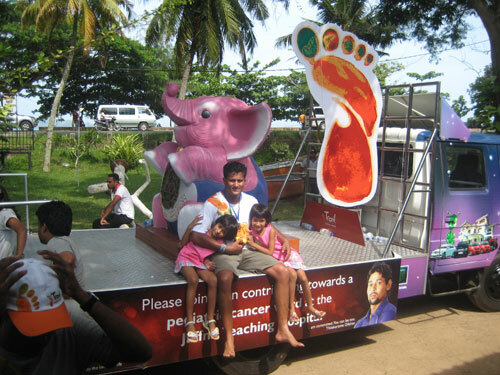 Currently, the only pediatric cancer ward in Sri Lanka exists in Colombo and the construction of a new unit in Jaffna will simplify and increase treatment for numerous children, thus increasing their chances of survival. 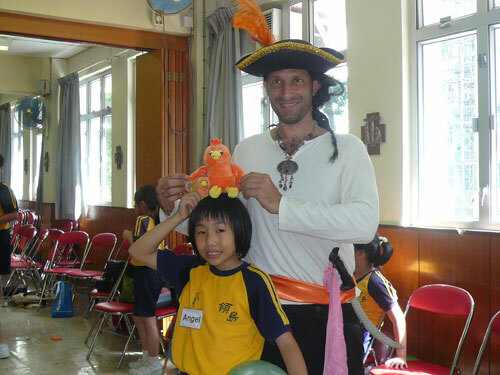 Six hundred and seventy kilometers in 27 days to support our little friends with cancer. What could be more motivating! Symbolically integrating the elephant into this extraordinary project also helps create a more positive image of these pachyderms. The beauty of this adventure also lies in its attempt to unite a country which has been traumatized by civil war. 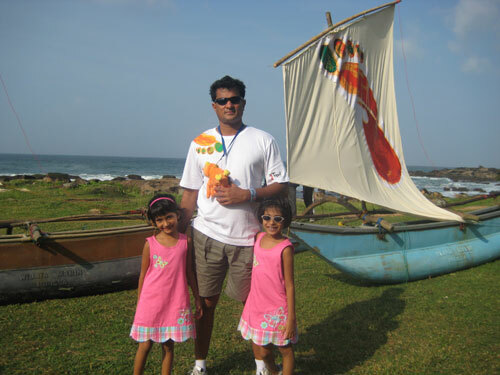 Boopy flew over Sri Lanka from Matara to Jaffna, resting from time to time on the benevolent shoulder of Thusitha. He heard how Thusitha thought that a project like this would not only help children with cancer, but also initiate a process of reconciliation between “hearts broken by war.” Thusitha's father has cancer as well, and Thusitha could not offer a more poignant tribute. The results of this epic walk met the dreams. More that one million euros were raised during the project and work has already begun on the intensive care unit.A touching story that Boopy is very happy to have been a part of. Thusitha and Boopy's message from this month of walking and flying: Together we can make unprecedented positive change on this planet!”. A simple message, illustrated by the success of Trail and to spread to those around you! 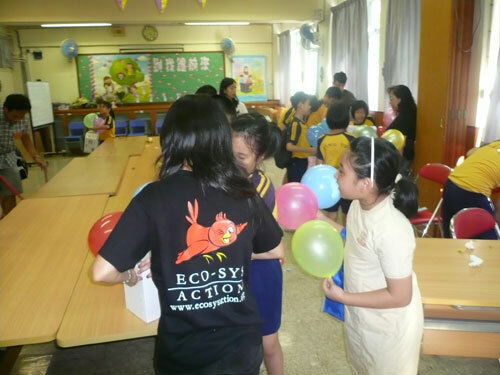 Eco-Sys Action and Boopy joined Birthday Happiness, a Hong Kong NGO that, each week, organizes birthday parties for disadvantaged children in the poorest parts of the city. 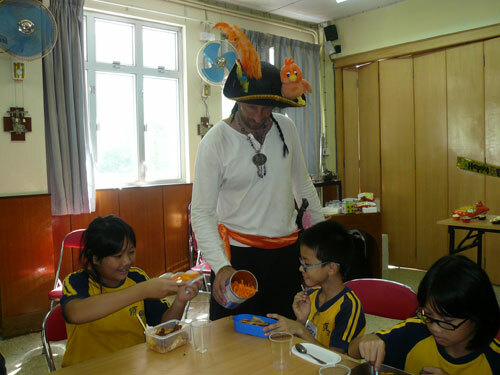 The programme: games, snacks, cake, and exciting presents. 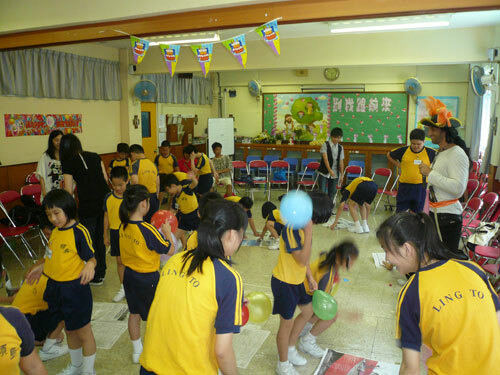 During this first year in partnership, Boopy will give away more than 2000 stuffed animals. 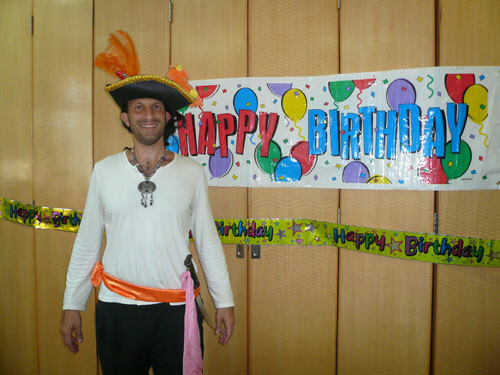 For the first birthday party, Boopy was joined by his friend Capitan G, a big hearted pirate who entertained the children with numerous surprises.